Thoughts from our editor, Joe Clancy. For archived editorials click here. Sometimes the obituaries can be a bit much. A few recent ones packed a big punch and took a chunk out of the region’s (and the nation’s) Thorough­bred world. Cot Campbell, Willard Thomp­son, Rick Violette, Bruce Smart, Walter Reese, Bob Levy, Buck Woodson – and too late to make this magazine Dr. Matthew Mackay-Smith – must be having some conversation in the track kitchen at Afterlife Downs about now. We can’t cover them all, certainly not to the extent they deserve. A monthly deadline doesn’t always lend itself to such pursuits. But we feel them, and feel for those left behind. 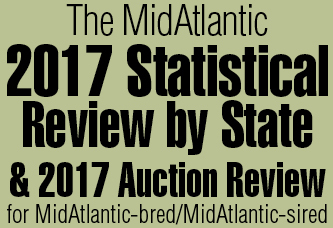 At Fasig-Tipton Midlantic’s mixed sale in December, Woodson’s Buckstud sold six weanlings a few days after his funeral. The horses were entered in the sale before he died Nov. 27, but that didn’t make it any easier and a somber mood hung out at Timonium’s Barn I along with the horses. 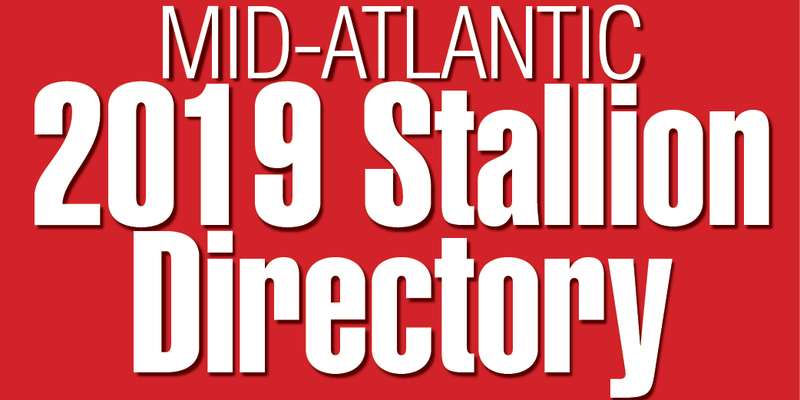 Woodson bred all six – two Palace Malice fillies, a filly and a colt by Ghostly Minister, a Fast Anna colt and a Tapiture colt. Five sold, for anywhere from $1,000 to $16,000, and a chapter (if not a book) closed. Woodson was 91, and something of a legend among West Virginia owners, breeders and trainers. He trained and co-owned the great Onion Juice, who won the West Virginia Breeders Classic in 1987 and so ruled the local racing during a 65-start career that fans would boo horses who dared defeat their hero. Onion Juice made 19 starts at other tracks, but posted all but one of his 27 wins at Charles Town and is remembered with a stakes in his honor every year on Breeders Classics night. Beyond “The Juice,” Woodson bred and raised Giovanni Boldini, who came within a half-length of becoming the first West Virginia-bred to win a Breeders’ Cup race when he finished second in the Juvenile Turf-G1 in 2013. Woodson sold the son of War Front and Dancing Trieste for $190,000 as a weanling, then watched as he became a $675,000 Saratoga yearling and an Irish stakes winner for Coolmore. Woodson had purchased Dancing Trieste for $20,000 in January 2008, and sold her for $450,000 after Giovanni Boldini’s run in the Breeders’ Cup. the 2017 colt sold as a yearling this past Septem­ber at Keeneland for $800,000). At Timonium, the Fast Anna colt was purchased by Machmer Hall for $16,000. He’s a half-brother to $300,000 earner We’re in the Money and, though he might have wanted more money, Woodson would have smiled at the result as another big-time Kentucky buyer bid on a horse he raised. If Woodson were there, Pitner and others would have told him the prices were no reflection on Buckstud’s ability to raise a nice horse. No, the market was a little soft. Buyers seemed to land on the same horses, and bid accordingly; otherwise the numbers stayed small. And those weanlings would grow up to be nice yearlings and hardy racehorses for someone. Time will tell, as it did for Woodson, who built a life in racing after leaving the Navy and a job with a paper company. He worked with Thoroughbreds for 50 years by sticking with what he did well, and getting results. Pitner would know. Her first day of work for Woodson came on Feb. 15, 2012 (she knew the date off the top of her head), and she did little but soak up what her boss told her. Click here to view our online Editorial archives.